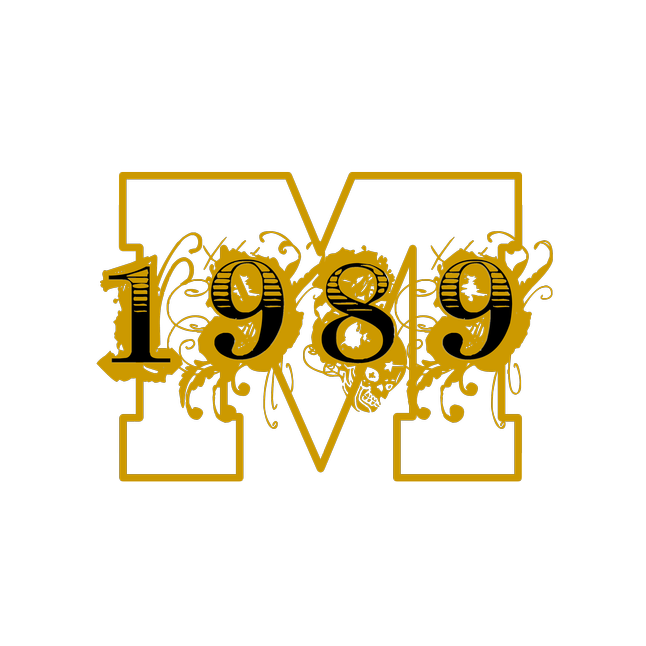 If you'd like to download our zipped MHS Memorial Movie showcased at our reunion (or individual segments), please do so by simply clicking on the links below. These files are HUGE so—patience is necessary! 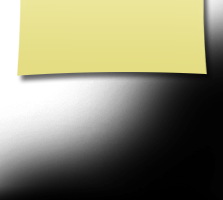 * Quicktime is required for playback. If you'd like to download the 20th Reunion photographer pics please click here. 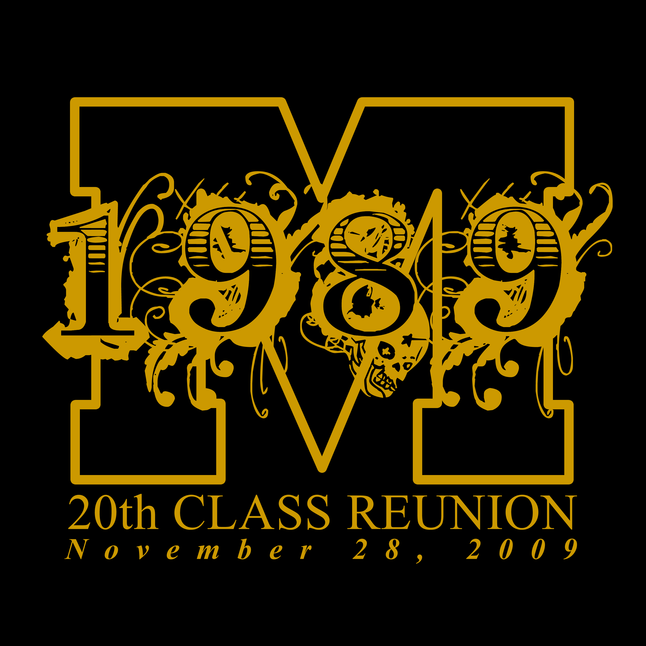 If you'd like to purchase a MHS 20th Reunion keepsake, please visit our cafepress store. Ramblewood County Club www.ramblewoodcc.com Menu details to come. The Date and Location are set: 11/28/09 at the Ramblewood Country Club from 7:PM to 11:PM, with the cost of tickets (per person) at $50. Registration and payment is via this site (your details below). Many of our classmates are on Facebook, which was originally designed just for this purpose, allowing classmates to keep in touch. 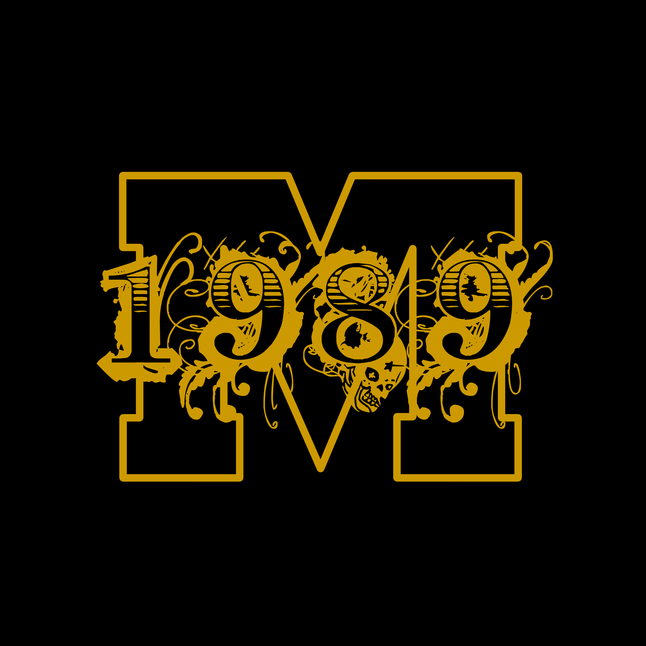 If you know of other Moorestown High School class of 1989 who have not yet visited this site, registered, and updated their profile, please pass the word along to do so. All we need is an email address, but prefer postal addresses as well for the official invite, but you know of classmates who aren't online, offer to use yours and help them! The official invite was mailed out in May, and can be viewed by clicking here, or by visiting the 20th Info & Links page. 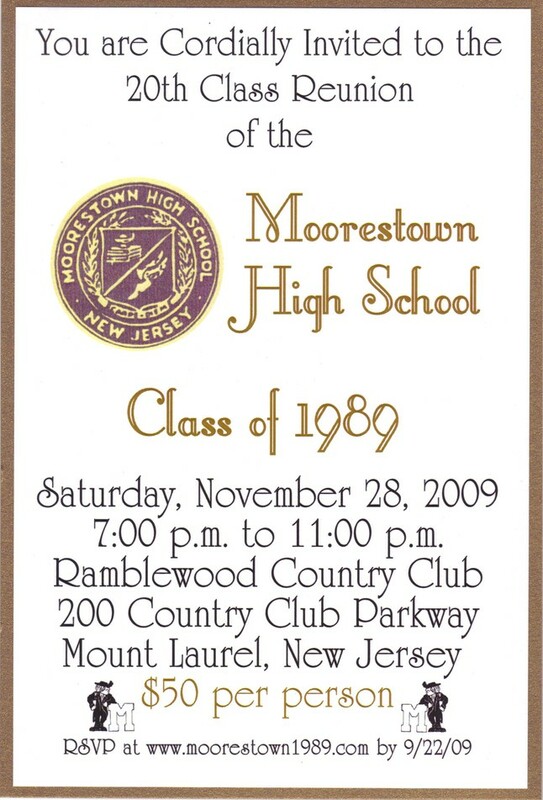 There are no official “tickets” in order to keep the cost down, but the list of attendee’s has always been available from our class site: http://www.moorestown1989.com/class_classmates.cfm?year_id=0&sort1=4&sort2=0&f3=c&yp=n which we will have at the event. As far as your attire think festive dressy casual or cocktail. We all want to look our best but just think comfortable, something that already looks good on you and fun. It's not the prom or a red carpet event, so a little black dress or sparkly top, some great pants and cute shoes for a girl or nice trousers, collared shirt with or without a blazer for boys. Goodtimes while reminiscing with classmates - free and priceless. For this evening, it is about you being you. We are just happy that you are taking the time to join us celebrating 20 years! Looking forward to our 20th and many more reunions, gatherings, celebrations to come! We encourage those attending to bring a piece of nostalgia with them (a picture, notebook, report card, notes, etc.). 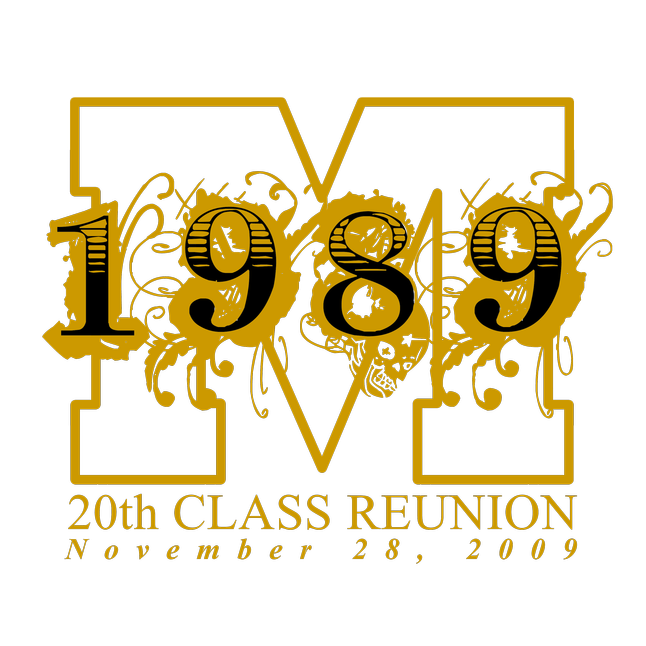 Please share digital high-school photos of you, your friends, your big hair, prom date and all-around shenanigans for use at our 20th reunion. Even if you can’t make it—we’d still like for you to participate. Please look out for a DropBox email invite from Susan Oppelt w/ instructions on how to participate. Deadline is Friday, November 13th at midnight. The following are the final Logo's courtesy of our very own Susan Opelt (Sullivan). I think she did a GREAT job, and deserves many thanks (Mr. Heusser would be so proud). 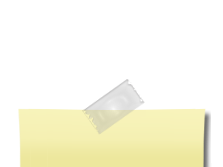 Please note, these files are in PNG format and rather large for the higher quality, so the page may load slowly. You can right-click and Save-as each graphic if you want to use them locally, or for creating your own paraphernalia or memorabilia for our 20th.